It’s always great to see our projects appear in the press. Shelby Harrell did a nice job with the article to the right that appeared in the January 16th edition of the Pilot News. Thanks Shelby! 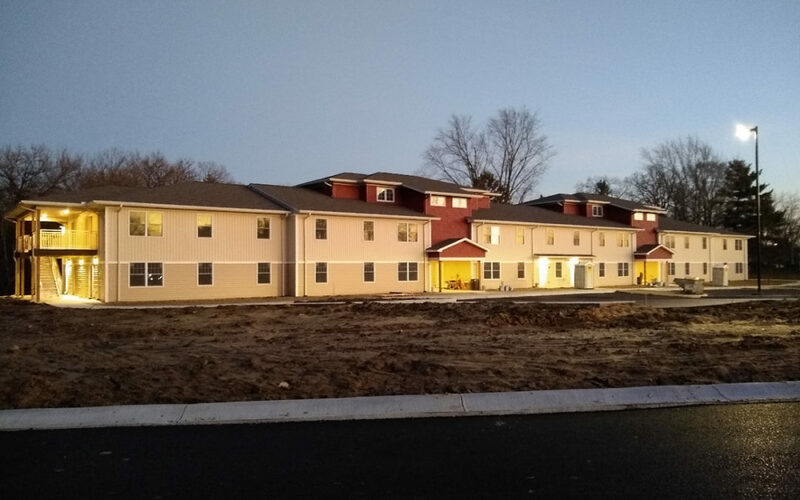 As the article states, we should be seeing some of the apartment units open to tenants within a month. Even though we’re down to finishes, there is still a lot to do. The crew on site would probably tell you the base trim they’re installing should be measured in miles! If you’re interested in some additional reading, check out this article from the New York Times. United Van Lines is reporting that Indiana is experiencing net in-migration for the first time in years. That’s a great trend to see. 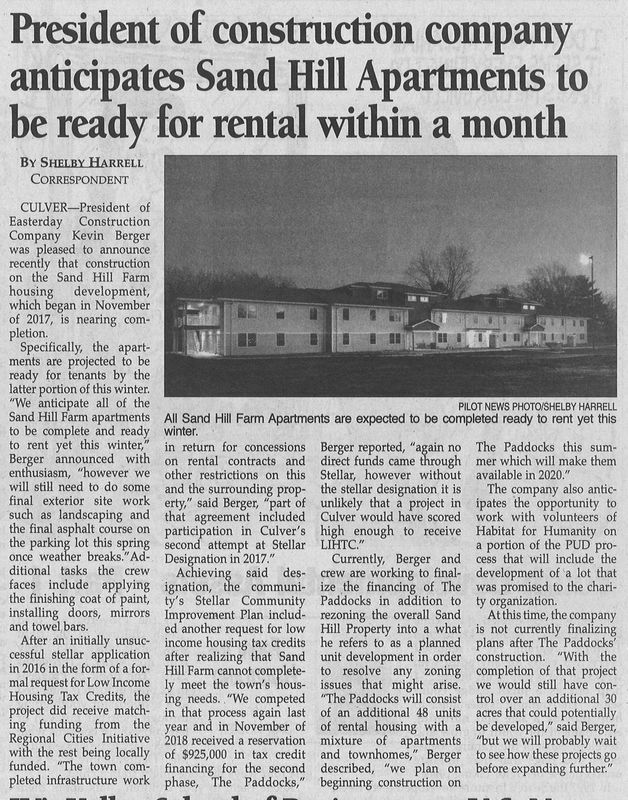 We hope Sand Hill Farm Development can duplicate that trend in Culver with the opening of Sand Hill Farm Apartments this year and The Paddocks in 2020!